<a href="http://www.inhabitots.com/how-to-make-delicious-raw-chocolate-pudding-from-avocados/">Avocados</a> are so nutritious, versatile and delicious in everything from <a href="http://www.inhabitots.com/5-kid-friendly-vegan-meals/">tacos</a> to <a href="http://www.inhabitots.com/7-fun-kid-friendly-salad-recipes-that-go-beyond-iceberg-lettuce/">salads</a> to <a href="http://www.inhabitots.com/how-to-make-delicious-raw-chocolate-pudding-from-avocados/">chocolate pudding</a>! We decided to give making raw cheesecake a try - using avocados as the star ingredient, to replace the standard cream cheese that is typically used to make cheesecakes. 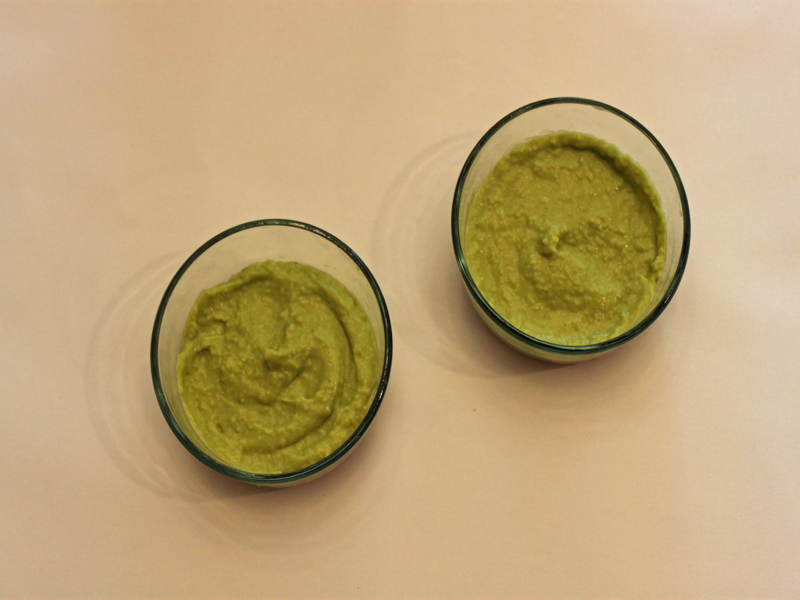 If your family loves avocado, you will definitely want to try out this healthier version of a classic dessert. It is simple to make since there is no cooking involved, and the recipe instructions are so easy that my son was able to make the entire cheesecake himself. You can grab the <a href="http://www.inhabitots.com/how-to-make-vegan-mini-avocado-cheesecakes/3/">one-page printable recipe here</a> and read on to learn how to make raw, organic, mini vegan avocado cheesecakes in minutes. They're the perfect sweet ending to a meal, or a yummy afternoon snack! 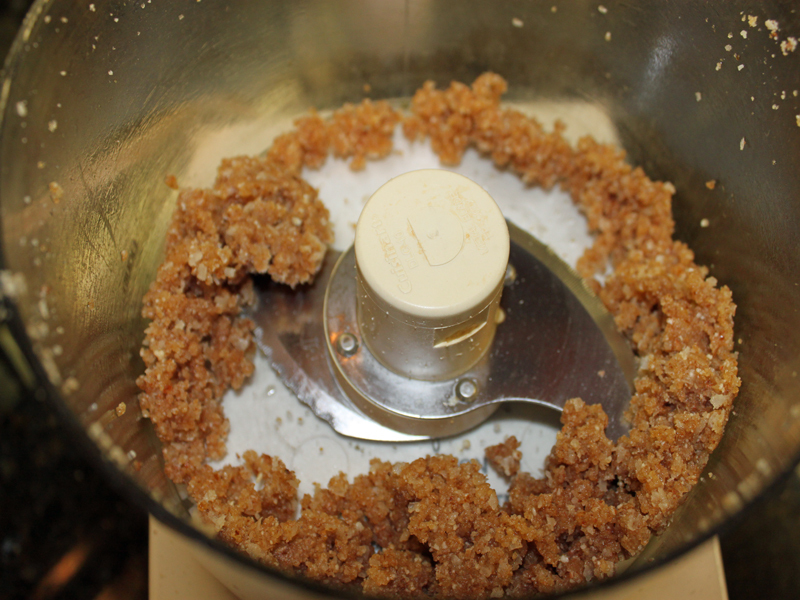 <h2>Step 2: Make the Crust</h2> Add the almonds to a food processor and grind until you achieve a very crumbly consistency. Add the coconut, water and dates and grind until the mixture forms a dough. Add the coconut oil and quickly grind again until you have a dough that forms easily in your hands. <h2>Step 3: Place the Crust in Serving Dishes</h2> Press the dough into the bottom of serving dishes and set aside. 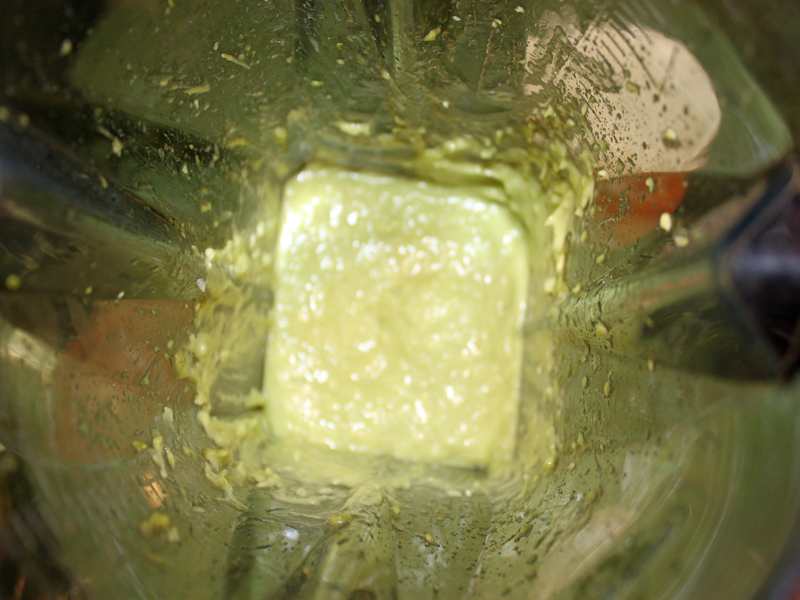 <h2>Step 4: Make the Filling</h2> Add the avocado, maple syrup and vanilla to a blender and blend until smooth. Then, add the coconut butter, oil and sweetener. Pour on top of the crust. <h2>Step 5: Chill and Wait</h2> Place the cheesecakes in the refrigerator and let them chill for 6 hours. 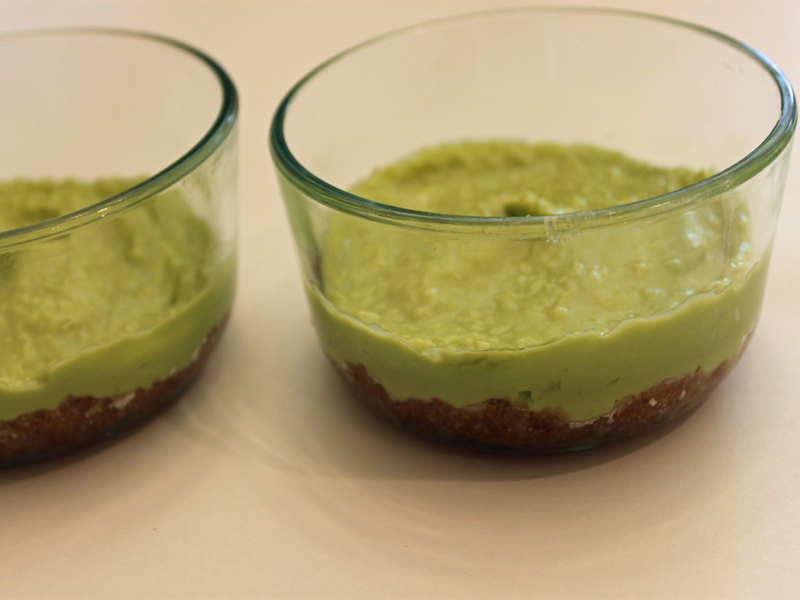 <h2>Step 6: Enjoy!</h2> These cheesecakes are delicious and have a very subtle, sweet avocado taste. They are even better when topped with berries! Enjoy. <h2>Raw, Organic Vegan Avocado Mini Cheesecakes</h2> Ingredients: For the crust: <ul> <li>1/3 cup organic almonds</li> <li>1/4 cup organic shredded coconut</li> <li>2 organic dates</li> <li>1 tsp water</li> <li>1 tsp organic coconut oil</li> </ul> For the filling: <ul> <li>1 organic avocado</li> <li>3 tablespoons organic maple syrup</li> <li>3 tablespoons water</li> <li>1 tsp organic vanilla</li> <li>1 tsp organic coconut butter</li> <li>3 tablespoons organic coconut oil</li> <li>a couple drops of stevia or honey for sweetness</li> </ul> Add the almonds to a food processor and grind until you achieve a very crumbly consistency. Add the coconut, water and dates and grind until the mixture forms a dough. 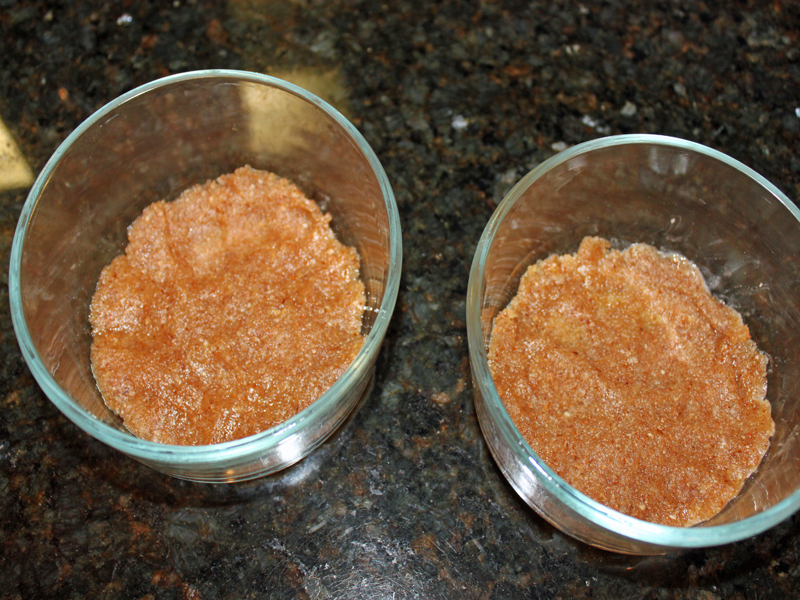 Add the coconut oil and quickly grind again until you have a dough that forms easily in your hands. Press the dough into the bottom of serving dishes and set aside. 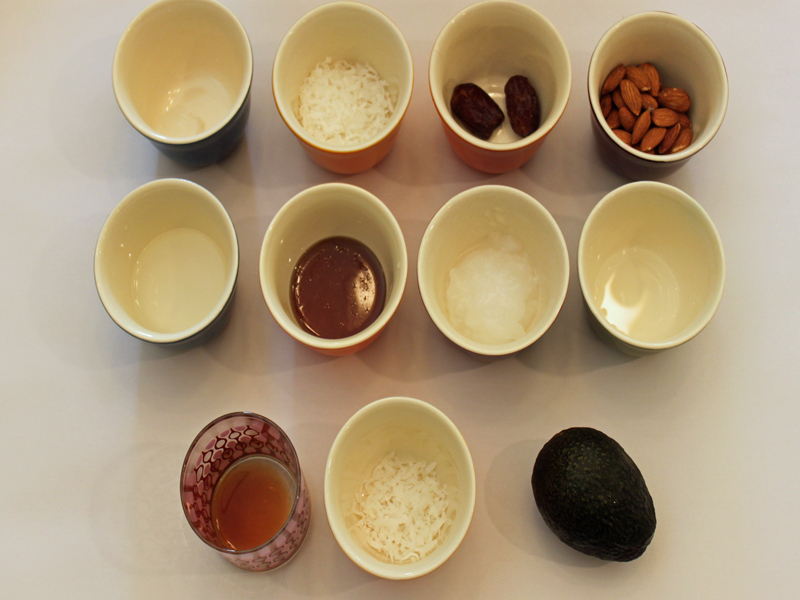 Add the avocado, maple syrup and vanilla to a blender and blend until smooth. Then, add the coconut butter, oil and sweetener. Pour on top of the crust. Place the cheesecakes in the refrigerator and let them chill for 6 hours. These cheesecakes are delicious and have a very subtle, sweet avocado taste. They are even better when topped with berries! Enjoy. Avocados are so nutritious, versatile and delicious in everything from tacos to salads to chocolate pudding! We decided to give making raw cheesecake a try - using avocados as the star ingredient, to replace the standard cream cheese that is typically used to make cheesecakes. If your family loves avocado, you will definitely want to try out this healthier version of a classic dessert. It is simple to make since there is no cooking involved, and the recipe instructions are so easy that my son was able to make the entire cheesecake himself. You can grab the one-page printable recipe here and read on to learn how to make raw, organic, mini vegan avocado cheesecakes in minutes. They're the perfect sweet ending to a meal, or a yummy afternoon snack!